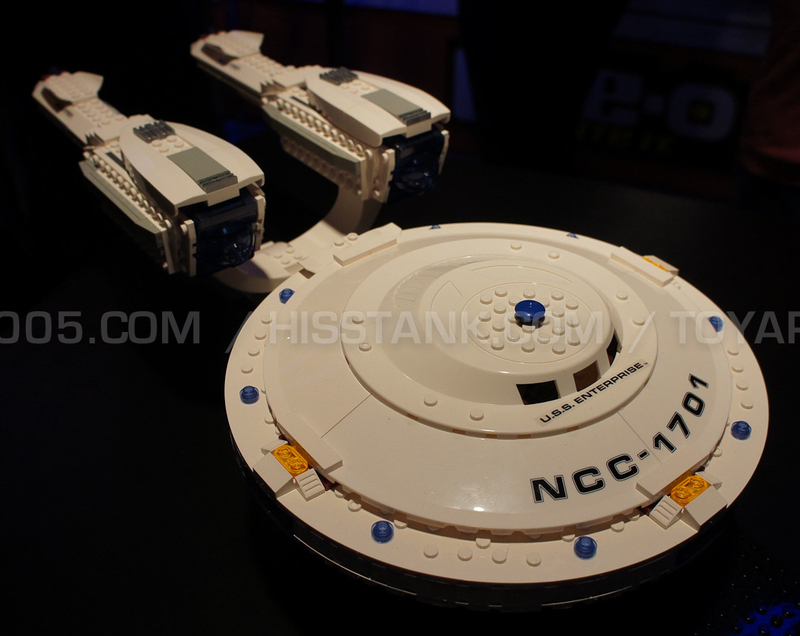 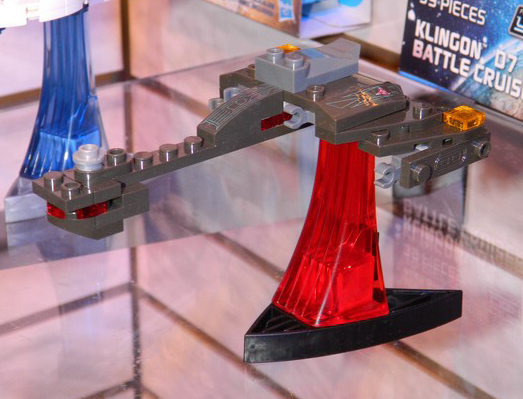 The new Klingon design coming in Star Trek Into Darkness. 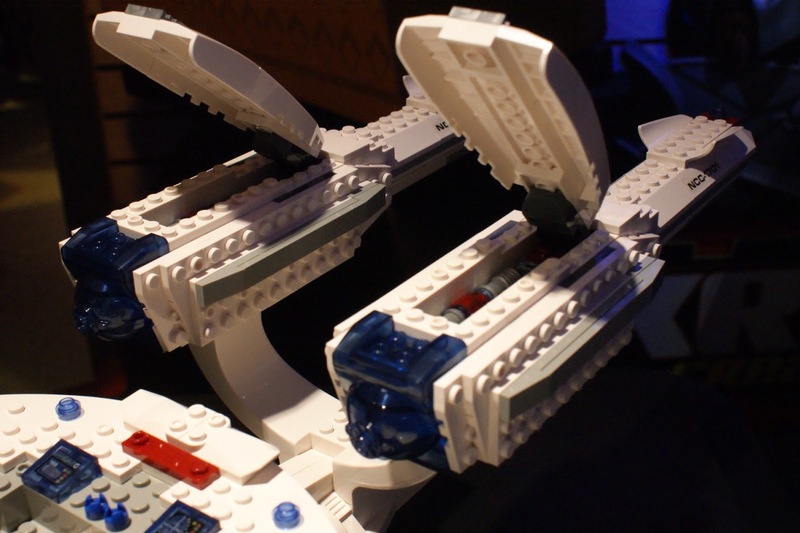 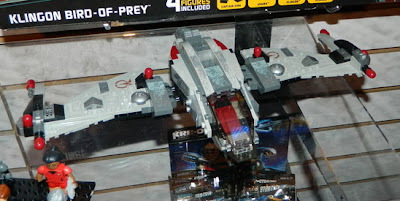 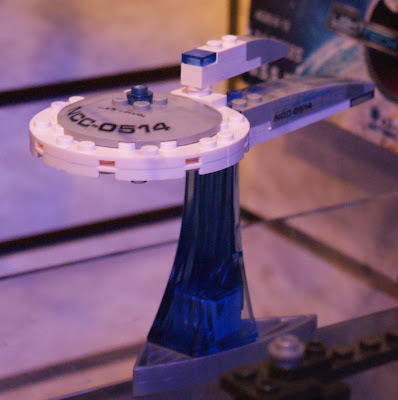 it will be interesting to see if Hasbro have played with the scale (as they have with the Enterprise), or whether this ship is actually more of a fighter sized ship, rather than the traditionally larger Bird of Prey designs. Comes with Kirk, Uhura, and two Klingons. 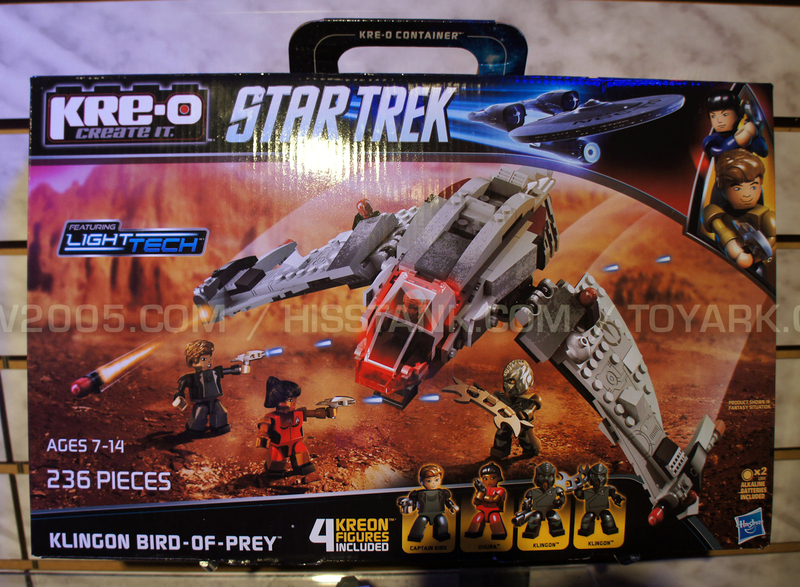 They don't seem to have had the box on display for this yet. 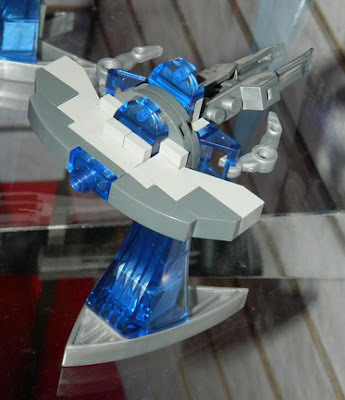 The volcano part of the set appears to be a single molded piece, rather than building it out of a mass of sloping parts. 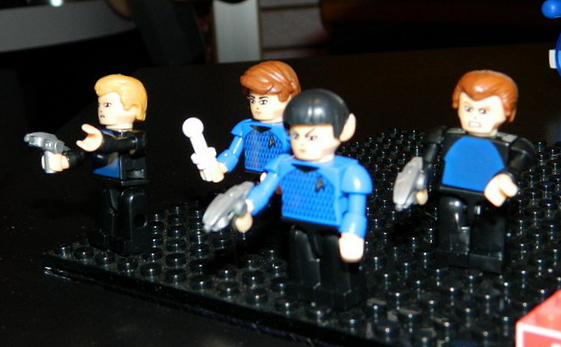 Comes with volcano-suit Spock, and Sulu. 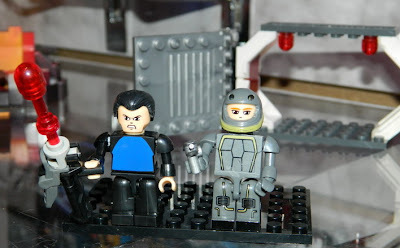 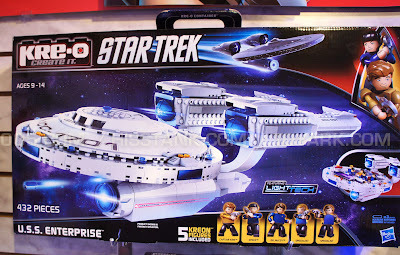 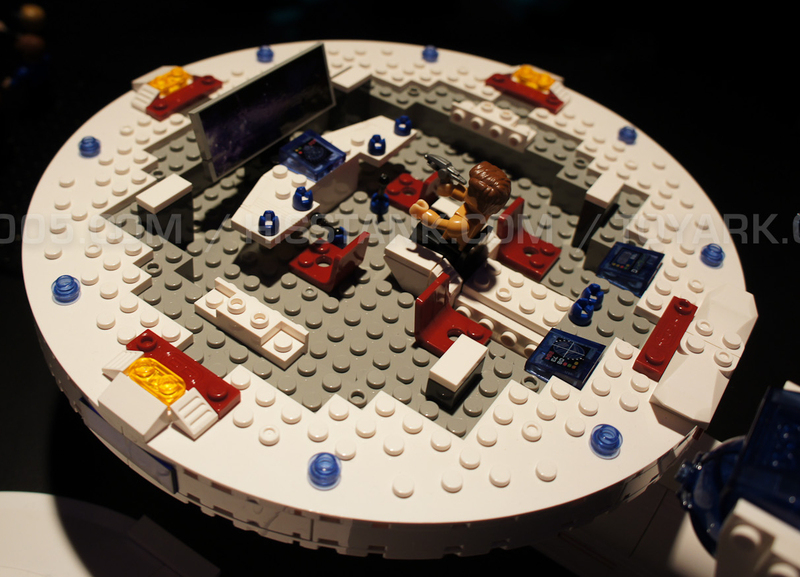 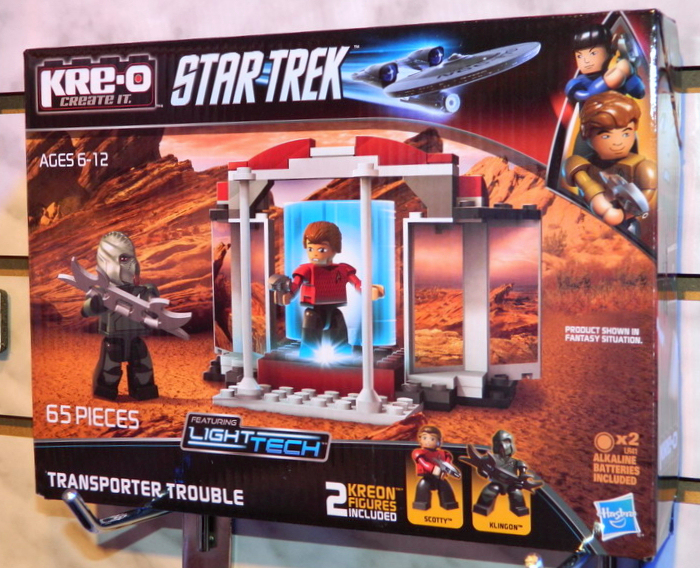 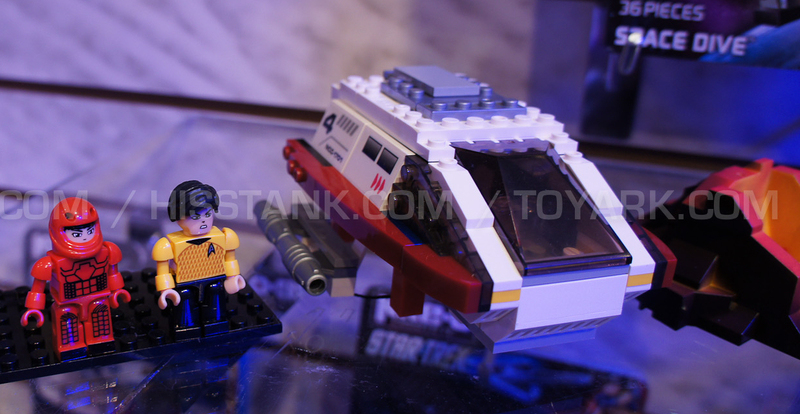 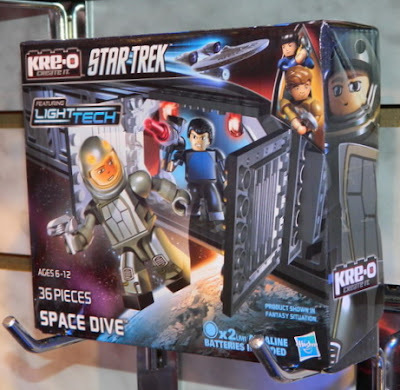 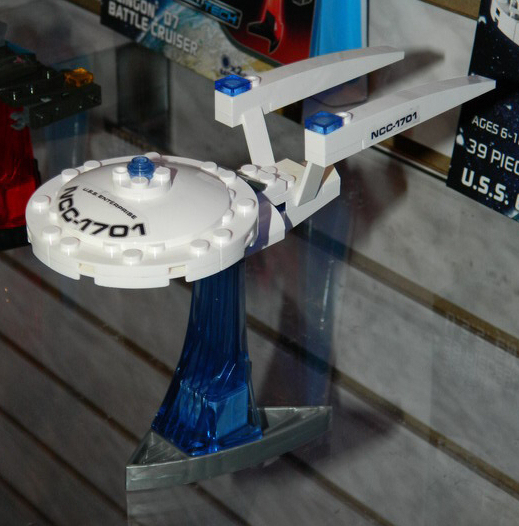 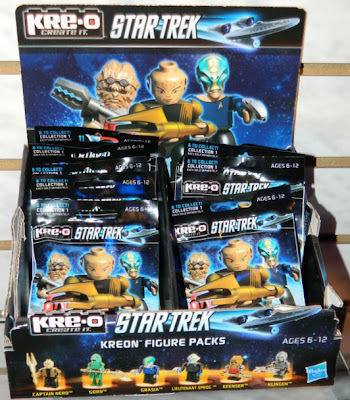 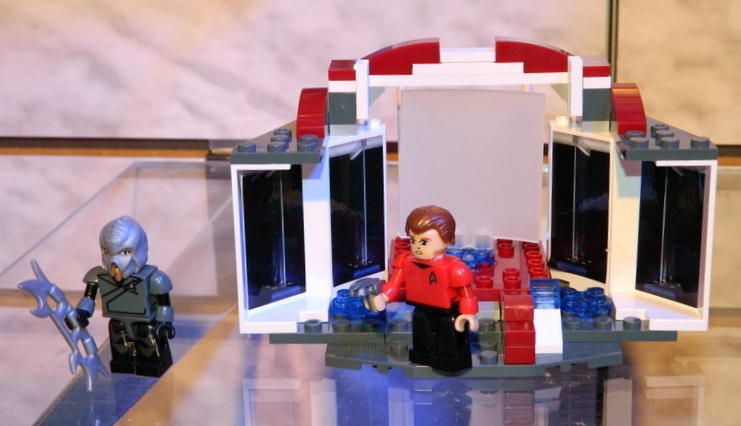 Between the box and display versions of this set you can see both the transporter room and planet sides of this transporter set featuring Scotty and a Klingon. This scene isn't one we've seen in any trailer yet, it suggests to me a comical scenario involving Scotty a Klingon and transporting, perhaps happening along side the Klingon encounter we have already seen? 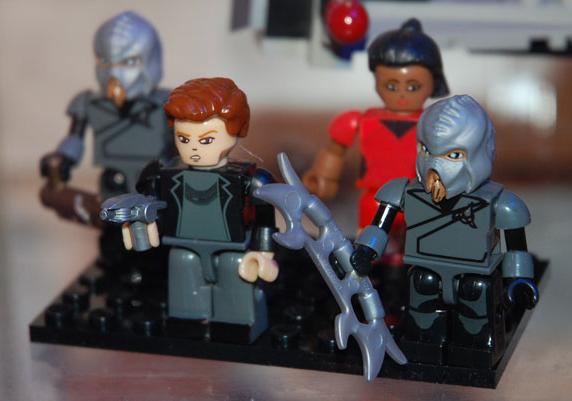 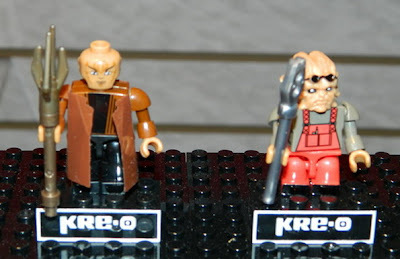 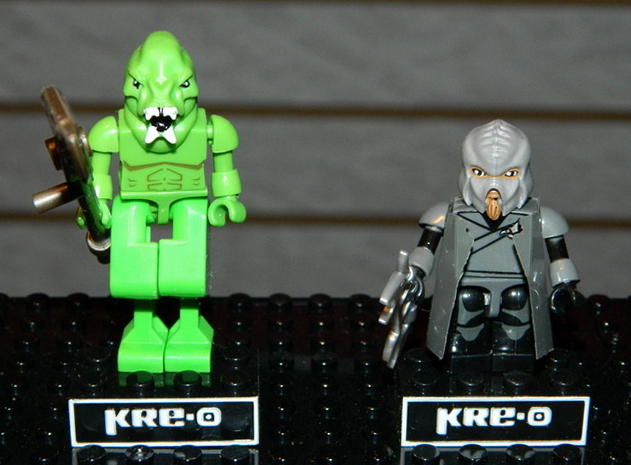 Finally there are the blind-bag Kreon figures, the first series of six were on display, more are to follow, with later series featuring prime-timeline characters. 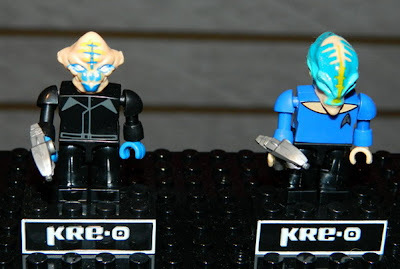 Series one comes from across the new timeline; Nero, Keenser, a Klingon, a Gorn (from the new video game), Grasia, a member of the same species as the Kelvin's Alnschloss K'Bentayr (and played by the same actress in Into Darkness), and a new alien called Sprog. 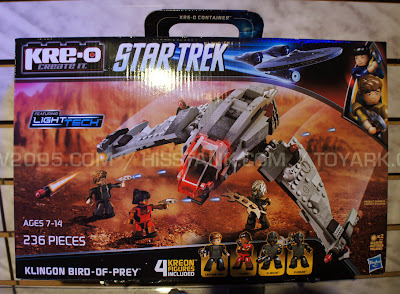 Sources: Toy News International, Toy Ark, Jmenomeno, Screencrush, Figures.com.